There is so much more to exploring a destination than absorbing all the historical data of UNESCO attractions and other tourist sites. A destination is made up of the people, the quirky traditions, and the urban underground. Whether you are uncovering offbeat hideouts in Split, wandering off the main street in Trogir, mingling with locals in a secret bar, or taking in the scenery in silence, an up-close-and-personal approach is the best way to get to know a new place. 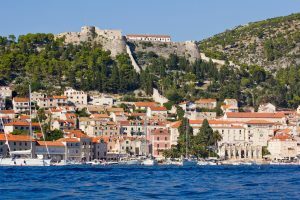 We have handpicked a few day tours from Split to island destinations that will give you exactly that personal introduction to Croatia. 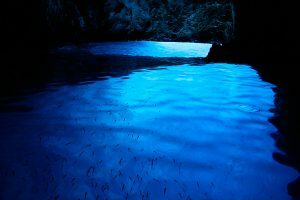 The half-day Blue Lagoon Tour by Šugaman Tours showcases nature at is best and history at its most splendid. Jetting off from the Riva waterfront in Split, you will soon be floating in the blue lagoon, nestled between the Krknjaši islands near Trogir. The lagoon is crystal clear and as you soak up the rays on the surface of the Adriatic, you can observe playful marine life on the sandy seabed below. 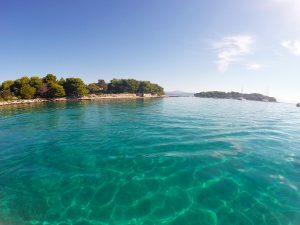 With popular islands such as Hvar and Vis taking the limelight, Krknjaši stays comfortably off the grid where travellers can really experience the beauty of the Adriatic and where locals take refuge from the city in weekends. 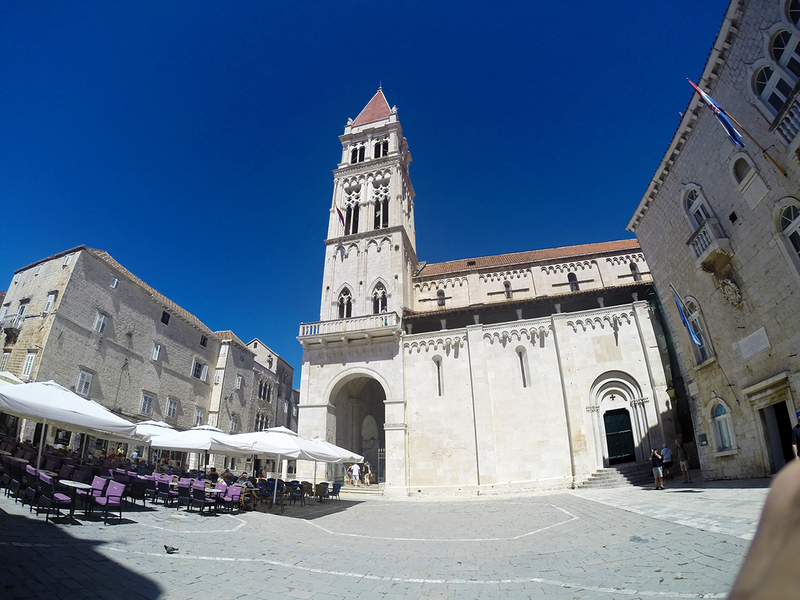 The next stop on tour is Trogir, an ancient island city that is enlisted as a UNESCO heritage site. Connecting the mainland with the island of Čiovo, reaching Trogir by boat is considered a luxury as the tiny bridges that reach it get extremely congested. Trogir has often been nicknamed little Venice due its old-world romantic charm with a history dating back to the 3rd century BC. With an orthogonal street grid, Trogir is easy to navigate and you will have discovered the triple-naved Cathedral of St. Lawrence, the Kamerlengo fortress, and numerous Baroque buildings in no time. 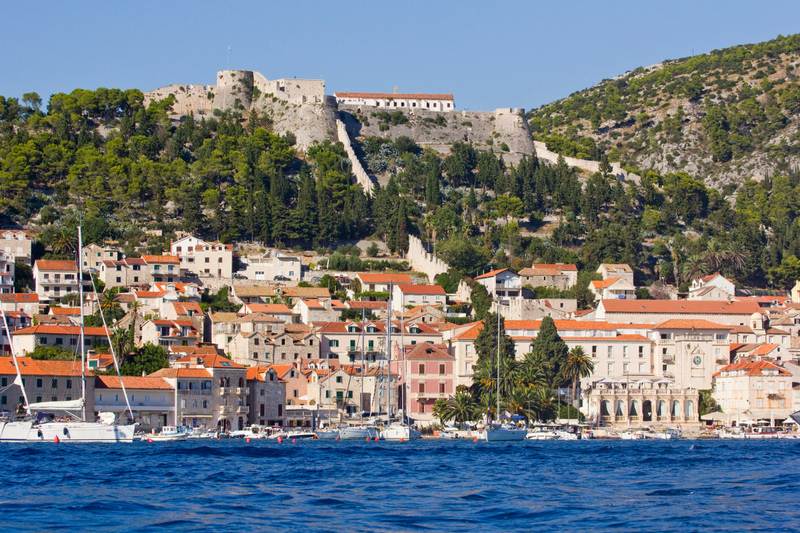 So where can you catch some local action in tourist-popular Trogir? The answer is over coffee at Galion, a cult hangout where the daily newspaper is dissected and discussed word for word by today’s generation of writers, philosophers, and politicians. Alternatively, pop over to Smokvica on Radovanov trg for cocktails and live music with young urbanites. 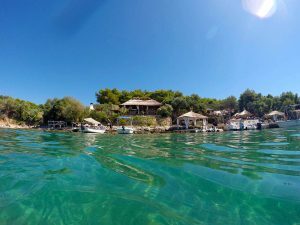 With the full-day Blue Cave and Hvar Tour from Split by Šugaman Tours, you will embark on a journey of the Adriatic’s hidden beauties, packing in five destinations in one trip, including a visit to the ancient town of Hvar. 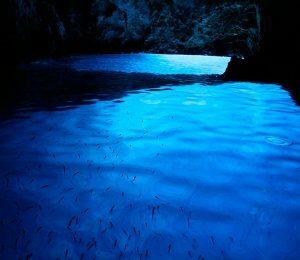 You will first arrive to Biševo Island near Vis where you will be taken into the Blue Cave, a natural wonder that get its illuminated neon-turquoise glow from the sunlight that reaches into the grotto. 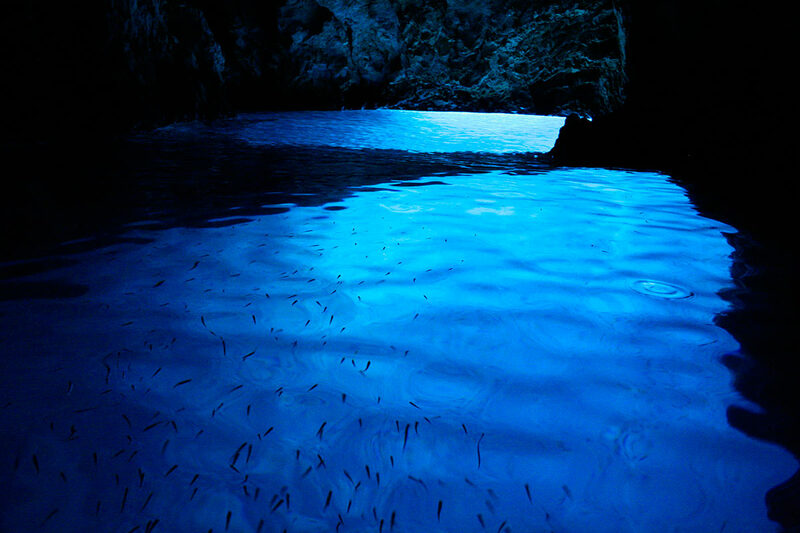 Before basking in Stiniva Cove surrounding by vertical-drop cliffs and snorkeling at Budikovac, take a refreshing swim inside the Green Cave where light streams through the crevices in the ceiling. 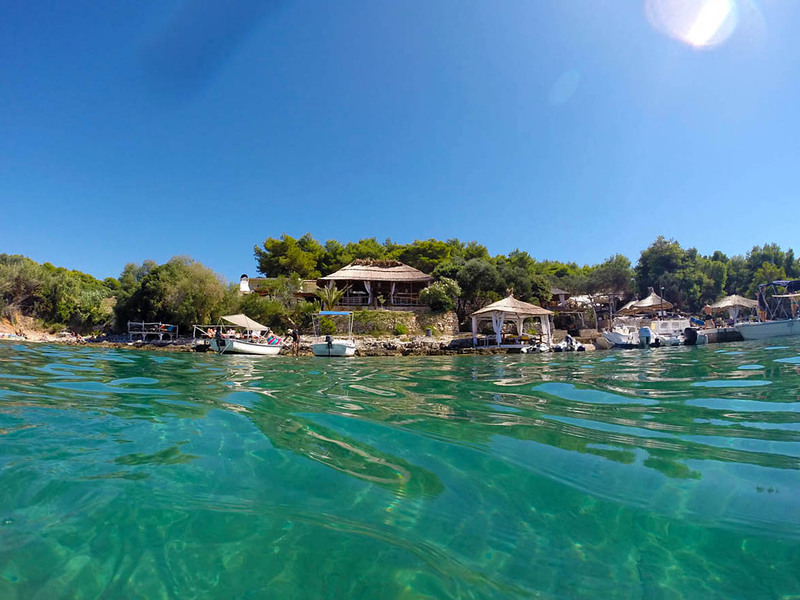 After departing from Vis’ archipelago, the speedboat excursion continues to the Palmižana Bay at the Pakleni Islands. 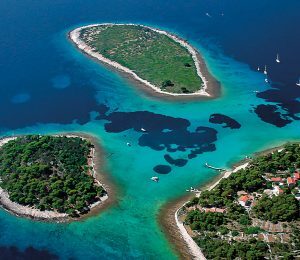 The 14 untouched islands are scattered just across Hvar Town and are a preferred retreat for a day in the sun. In Palmižana, you may get a compelling story or two from Đenko Meneghello, a restaurateur by day and enthusiastic fisherman after sunset. Đenko is a rather eccentric character and his alfresco Toto Restaurant is nestled in a dense palm oasis that his family has nurtured for generations in the bay. After switching your bikinis out with resort wear, we continue to Hvar Town across the waters before returning to Split. Venetian palaces, Europe’s oldest community theater and mega yachts berthed along the glitzy waterfront are but a few of the attractions in this charming island town but the fun-loving locals are what makes you want to stay. An ideal vantage point to gossip about the people passing by is over a pizza at Kogo, located on the 4,500 m2 St. Stephen Square. This is the legendary pizza joint that locals do not neglect. Across the main square, enter the labyrinthine backstreets to find the 3Pršuta bar to flavor local wines by the glass together with Vidan, one of the three brothers that run the joint. Each year, the entire crew of Šugaman Tours invite guests to hang out with them on a night cruise on August 10th. The Tears of the St. Lawrence Tour captures the Perseid meteor shower on the night of St. Lawrence where shooting stars in the sky make for an enchanting spectacle…with sparkling wines on the side of course. This annual colleague team-builder is a special way for tourists to join laid-back get-togethers amongst friends, colleagues, and family. The insider know-how of the Šugaman Tours crew will ensure you experience the personal side of island excursions from Split.